Demo Model – NOW ON SALE! 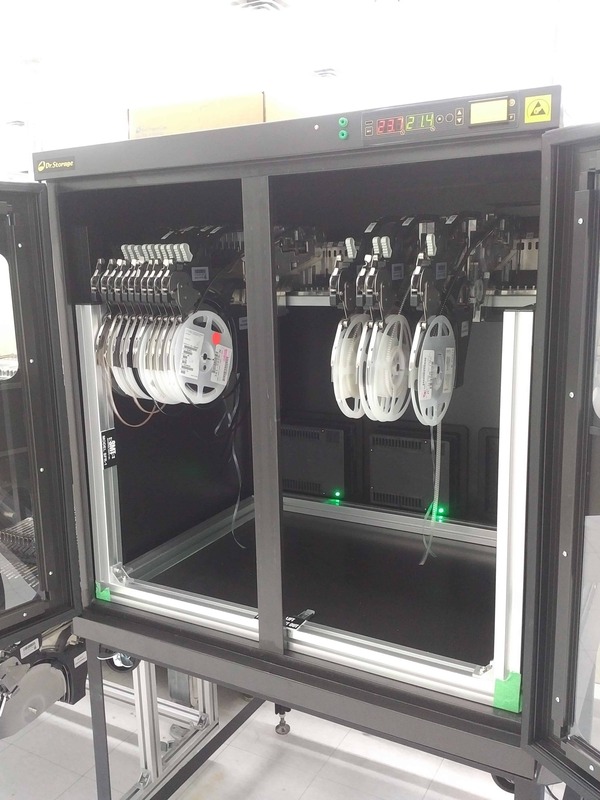 This Custom Dry Cabinet with Feeder Cart accepts 8mm Samsung SM Feeders. 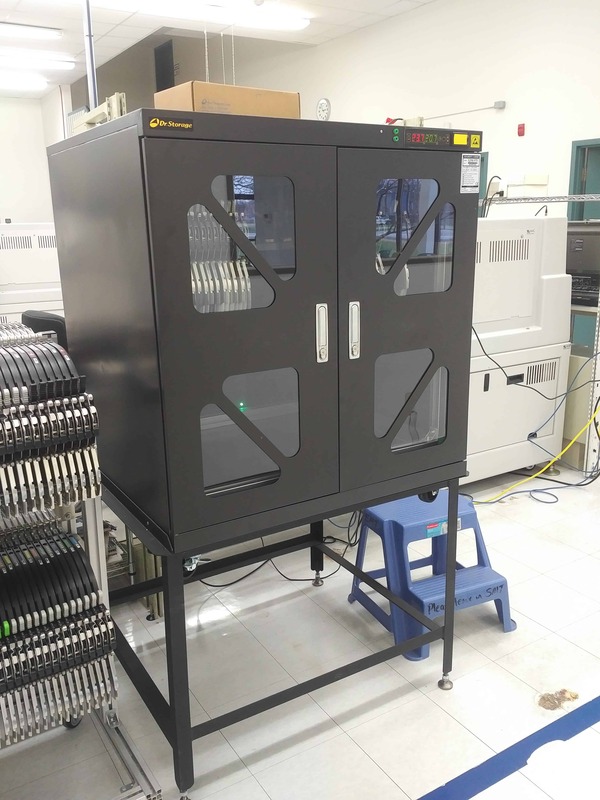 It is an X2M-575 <5%RH Dry Cabinet and it comes complete with turbo dryers, digital display, RS-232 port, humidity manager software, anti-static package, locking doors, alarm, calibration reminder and is black in color. The custom built stand with adjustable feet provides the perfect height for easy access to your feeders and extra storage at the bottom of the cabinet for other moisture sensitive components. First Come – First Served. Only one available at this great price – Contact us for other great offers on cabinets such as our 2018 Summer Specials. 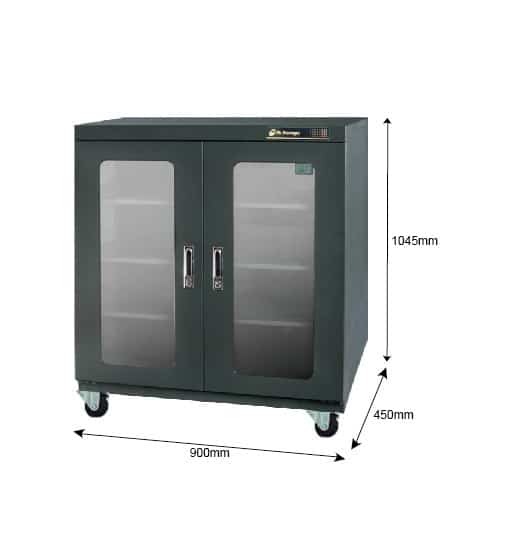 This style of cabinet can be adapted for almost any make of feeder in the market. Contact us for more details on how we can customize a cabinet for you! First Come – First Served! Brand New – Crated – Skidded – Ready to go! 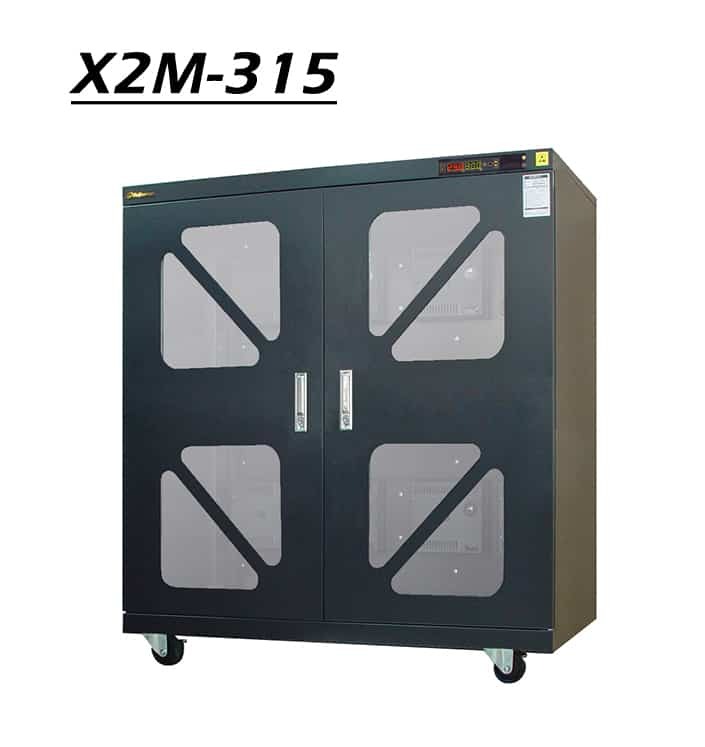 The X2M-315 Dry Box comes complete with Turbo Dryers, Digital Display, RS-232 Port, Humidity Manager Software, Antistatic Package, Locking Doors, 3 Adjustable Shelves, Alarm, Conductive Wheels, Calibration Reminder, and is black in colour. Only one X2M-315 available at this great price. Contact us for other great offers on cabinets such as our 2018 Summer Special! 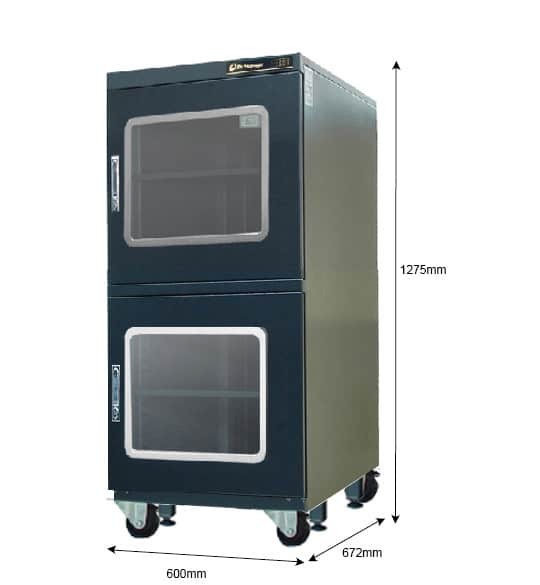 XC Series Dry Cabinet Specials. Limited Time Only.